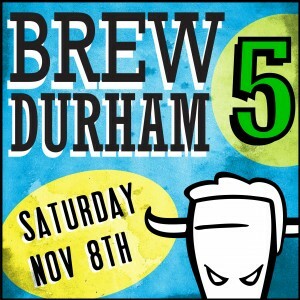 Beer aficionados take note: the Brew Durham Homebrew Festival is this Saturday, November 8th at The Scrap Exchange! Brew Durham celebrates the art of making home-brewed beer, and got it’s start in 2011 as a fundraiser benefitting The Scrap Exchange, a creative reuse arts center in Durham. It’s now turned into an annual all-day celebration. Attendees will be invited to taste 40 types of beer crafted by 30 of the Triangle’s finest home brewers. Your ticket to Brew Durham 5 also gets you access to some tasty eats from several local restaurants, featuring local ingredients! Head over and sample some great home brews and local cuisine, all to benefit the creative hub that is The Scrap Exchange! Tickets can be purchased at brewdurham5.eventbrite.com. Proceeds benefit The Scrap Exchange.